"A complete game changer for content marketers"
Having the ability to set templates for Social sharing is incredible. It means I can continue to promote my content for weeks after it's been published and the Requeue feature means it continues to get exposure for as long as I need it to. I used to write a blog and then send out a tweet, a facebook post and share it on linkedin. If I remembered I would put it on pinterest, but then it was gone and 90% of our audience never saw it. Coschedule makes it really easy to make sure that doesn't happen. The best part is that I don't have to think about it afterward, I can concentrate my full attention on the next project rather than scattering my thoughts and energy trying to keep plates spinning! "When you're "Chief Everything Officer," it's automate, automate, automate." I like the ability to create templates for tasks or for social promotion (for example, the social posts I want to do for every blog post), and then generate and tweak those social messages right within Wordpress as I edit my post. I also like that I can add a post to my Coschedule editorial calendar and it will be created in Wordpress. I don't love the price tag. As a solopreneur with a new business, using Coschedule was only possible for me through their referral program. Worth it? Yes, but that doesn't mean your business can afford it. There are other options out there that aren't so much to swallow. I get it. Running a blog business seems to be one monthly or yearly expense after another. But if you're like me, you don't have the time to do everything manually. I have a full-time day job. If I do all the manual work on my site and social media, I won't have any time for the work I love that made me start this business. I won't be able to do the strategic things to make the business grow. On the other hand, if I leave out the social media strategy, the business won't grow. So I figured that paying $49/month (cheaper if you can pay annually!) is much, much cheaper than hiring a virtual assistant. And, I mentioned CoSchedule's great referral program above! Right now (August 2018), if you write a review post you can get 50% off for a year. You will also get 10% off for each person you refer. If you think you might be able to use CoSchedule to grow your business, sign up for the free 14-day trial to test it out. To make the best use of your time, I've made a Quick-Start Guide to CoSchedule for Bloggers. You can access it for FREE along with a more detailed review at https://www.realworldbiblestudy.com/delegate-use-coschedule/. Coschedule allows me to schedule content in advance and be "present" on social media when I wouldn't be able to. I don't have an assistant or a social media manager to take care of this critical part of my business manually. It just isn't an option. I like the Social Media Management the most, especially Requeue. I can set social messages for each blog post directly in my Wordpress dashboard on the post editing page, including adding them to Requeue groups for later automated use. In regards to the features I use, there is nothing I dislike. I have tried other tools similar to Coschedule, but none measure up - there's always some type of functionality missing that I needed or wanted. CoSchedule is light years ahead of the competition. It's worth every penny of the subscription fee and will save you time you didn't know you had. You'll come to wonder how you ever worked without it! CoSchedule saves me so much time! Not only do I write for my blog, but I also create projects for each post, which gives me very little time to mess with scheduling tons of social media posts. CoSchedule allows me to focus on creating content & promoting my affiliate business. I no longer need to spend hours on social media platforms to stay engaged with my readers. It's a godsend! "Does the job pretty well"
Browser extension and social media scheduling tool are easy to use and make scheduling content a breeze. Calendar view is really helpful for coordinating content initiatives across the team. Interface is pretty intuitive, but could improve. Google doc integration allows you to collaborate on blog content then port over to Wordpress (but more on that in a second). When you load blog content to Wordpress, it just dumps the code in one big pile, so if you need to go in and fix anything (say, an image size or alt text) you have to sift through a jumble of code. Would be nice if it could somehow recognize line breaks or indent code for things like bullets. Content planning and team coordination. We now have a much easier at-a-glance view of our content plans and can easily collaborate, keeping everyone on task. "The Scheduler for Social Media Excellence "
This platform will allow you to effectively plan, organize, schedule, monitor and analyze your social strategy. Not only is it an aesthetically pleasing platform, the team at CoSchedule are incredibly helpful and friendly - no matter your social emergency. Plus they have master classes, training and free tools to continue building your social media skills. Data analysis across business allows me to build my business and network whilst maximising my time. The online training academy is brilliant - short videos to support learning of the functionality, again minimising time spent until gains are achieved. There is nothing I dislike. Often I have found that when software offers video or key support text, the functions or screen shots are of old systems and are not current. This is not the case with CoSchedule. When you first sign-up for the free trial, give yourself a good eight hours dedicated to trialing the functionality and ensure you do the online training at the beginning! It's worth the time invested at the beginning to make the operations flow thereafter. CoSchedule is my favorite marketing tool! I started using it when I was part of a marketing team for a corporation and now that I run my own business, I had to get it for myself. I can streamline all my multitasking and plan out weeks in advance for each client, saving me time each day. I have so few complaints that I am actually kind of stretching here. I only wish the Solopreneur package came with a few more included social profiles. I have four clients and they all have LinkedIn and Facebook, but two have an Instagram and I of course have my own channels, so instead of eight, maybe ten accounts. It is nice that if it comes down to it, I can add an account a la carte. Because I am now a party of one, I love that once or twice a week, I can sit down and do all my writing and social planning. This really frees up my valuable time. Also, everything is in one place, giving me a simple bird's eye view of each campaign, ensuring everything runs together. "CoSchedule great for small and large business alike"
I like how CoSchedule has taken a content marketing centric approach to building the tool, i.e. using a blog or site as a focal point and then building social media campaigns off it, leading all the way to conversion -- as UTM tags can automatically be assigned. For enterprise users, the relatively recent addition of marketing campaigns is extremely helpful in keeping marketing teams who don't require a lot of ancillary tool integrations, e.g. marketing automation, organized. The Requeue feature is a life saver -- it allows you to analyze your best performing posts and then reschedule them within gaps of time you might have in your social media calendar. Finally, CoSchedule provides a lot of value for the cost. There are a few quirks in how certain things function, e.g. go to schedule an event and you can't easily span it over several days. Also, while third-party integrations are a focus for content development, e.g. Evernote and Google Docs, some are noticeably absent, e.g. Dropbox. CoSchedule is a perfect intermediate social media management tool providing a lot of bang for the buck. If blog on Wordpress and coordinate a lot of organic social media, this is the tool for you. Team and individual productivity. Also I've realized a 600% increase in blog readership and the ability to easily assess the best performing content on social media. With CoSchedule, I'm able to single-handedly manage an active tech blog and keep all editorial tasks on schedule. It connects directly to my company's WordPress blog for seamless post creation and management. It's also a very agile tool, so I can easily move post publish dates around to accommodate priorities. CoSchedule is a must-have tool for me. There is not much I don't like! One nit-picky dislike is the overactive auto-save functionality. I often have to type blog post titles in multiple times because it auto-saves in the middle of my typing, cutting off the last portion of the title. Also, if I want to select multiple blog categories for the post, I have to wait for each selection to save before I can select another. CoSchedule helps the content leg of our marketing team stay organized. We use it mostly for blog management, but it also helps us track event dates and schedule social promotions. Maintaining a quarterly blog calendar is made much easier with an agile, visual tool like CoSchedule. I can use the calendar view to see everything that is planned for a full month or the dashboard view to see post activity and upcoming tasks. I use it daily! "The best content calendar solution, period." CoSchedule is intuitively designed for people that publish content. It has lean project management and collaboration tools built in which is great for smaller teams focused on sharing content. The calendar itself is robust and extremely useful. It revolves around the publishing dates, and dynamically updates itself when pub dates move eliminating so much of the manual management that other platforms require. The platform isn't cheap, but the social sharing tools are a huge value ad. Because we can manage content creation and content sharing in one hub, it makes life so much easier than other systems I've used in the past. The ReQueue feature is also extremely helpful to power intelligent resharing to reduce your social management workload even further. It's more expensive than typical content calendar solutions I've come across. A lot of people build DIY solutions with tools like Trello or Google Calendar which are better than nothing, but nowhere near as streamlined or effective as CoSchedule. I'm running an educational website that's a side project/marketing initiative for our agency. It's not my full time job, and we're always trying to increase our efficiency. Because our time and resources are limited, we need to be focused on creating content, not managing scheduling and social sharing. Bottom line, CoSchedule allows us to work faster by working smarter. "CoSchedule is the tool to promote your content that saves you a load of time"
CoSchedule is really simple. The possibility to create templates you can use to schedule the pubblication of your content on social networks with different dates, titles and images is amazing. This way you can set different images and texts for different social networks that can link back to your post/content. And it has reports for your shares, integrations with other services like bit.ly, Google Docs, Google Calendar and Evernote. It has a fair pricing model, but it's not cheap. Some parts of the interface are not so friendly. It has a 14 days trial, before using it is better to be prepared with some content to publish so you can take full advantage of its features. Also, there are several web recordings of tutorials that is good to watch. CoSchedule website really has a huge amount of documentation to help you create your content and marketing strategy. I strongly recommend to download and read all their publications. The next step of course is to use the platform: you have all your scheduled publications in one place and if you make use of the "Social Helpers" - templates - you save so much time and effort. And it has a WordPress plugin. On average, for one post, we save 4-6 hours by publishing a month of content for social nets with one click. "Getting my social shares in with less effort"
Easy scheduling to social accounts and color coded schedule. Plus, the task list to keep me on track for larger projects. High cost to manage for small blogger with little income. I wish the re-queue feature were included in the plan for the price. As a blogger who was short on time for social sharing, Coschedule makes my life a bit easier. If you make any income from your blog and want to free up some time, this is the app for you! Simply make it part of your publishing routine to pre-write and schedule social shares right within the post dashboard. As a blogger, operating on my own, it was difficult to remember to share all my posts to all the social media networks consistently. Coschedule makes a majority of my tasks easy right within my Wordpress dashboard within the post I've just completed writing. Additionally, the coschedule app allows me to see my schedule and know when and where I can post content from other bloggers. Finally, the best time feature automatically chooses a good time, giving me much less to worry about. "Content Calendar Organization Made Easier"
The calendar view at a glance is nice for me to see what types of content I have planned in the future without having to look at another platform. Plus, the integration with WordPress makes it easy to move back and forth pretty smoothly. The upload a doc functionality has not always worked. My team works with Google Docs and often includes images in the docs, which don't transfer into WordPress from CoSchedule very well in our experience. We have to upload the images separately to WordPress anyway so there is no time saved by uploading a doc instead of just copy/pasting the content. When they updated their pricing, they really pushed their social media scheduling feature, but we didn't need that because our company uses a different platform for social media. We were able to de-select that when upgrading our plan but we didn't need all the extra functionality the Team Marketing plan offered. CoSchedule offers a simple way for our content team to get a high-level picture of what we've recently published and what is going to publish in the future. It saves us time looking in one location as opposed to using multiple tools like a separate calendar, file manager, etc. CoSchedule makes it easy to schedule posts across all channels simultaneously. The integration seems pretty good, as far as posting and data tracking. There are some limitations with LinkedIn. For example - when posting a graphic, you have to use a certain size or it is cropped within LinkedIn. This does not happen in Facebook or Twitter. Also, you cannot tag companies/people on LinkedIn from the app. You have to log into your LinkedIn account and edit the post to make any tags. Also, there is a glitch sometimes where the links do not populate in the preview pane. Overall it is a great tool for social scheduling, especially for Twitter and Facebook. LinkedIn works fine, but there are more limitations - possibly on LinkedIn's end. CoSchedule saves our team time by having all social managed under one app (for the most part). Posts can be scheduled ahead of time and reliably posted on time. "CoSchedule has changed my Social Media Management Life"
I love the ease of scheduling and the ReQueue schedule!! Love getting maximum mileage out of my social messages and not having as much to schedule each week on my own. It seems a bit pricey, but you do get what you pay for. As a soloproneur I wish there was a plan that offered reduced cost for one user. The plan allows for up to 3 I believe but thats just much more than I need right now and I'm sure there allowance for more team members is built into the cost. Don't hesitate to reach out to the support team for help. Also the training videos available on the site are incredibly helpful! Scheduling my social media is much easier with CoSchedule. It takes less time and allowing CoSchedule to pick the best time spreads out the messages for me. Love it! "WordPress Creates Enhanced, Dynamic Sites"
WordPress is much more now than access to develop an easy blog. WordPress now allows users to develop a website that is full of dynamic, intriguing features. With so many widgets to add, don't worry about site traffic not maintaining interest. There's too many options for them to not to stay captivated in what you, the user, may be offering. One of the features that I would like to see upgraded is the ability to have a little more freedom over the movement, appearance of your background. Seeing how sites are now more than ever becoming more user friendly with interesting flow and movement, I would like to see this aspect added for user to have more creativity. Allow yourself to be open minded and take advantage of the freedom of personalization that is offered by WordPress. WordPress allowed me to activate and maintain my site in college that has since grown for those fielding an interest in sports. "The Best Social Platform! " Analytic Reports: Social Engagement Analytics Reports can be sent to the team automatically at set monthly intervals. They are also formatted and branded, ready for distribution. This is perfect for the boss you promised you would pull those monthly engagement reports for! I never have time to actually do that and now I don't even have to think about it. Tracking: CoSchedule works with bit.ly (link shortener) and Google Analytics to add tracking information to links automatically. It is wonderful not using that second step to add a tracking link to a post. Calendar View: You can see the entire month of social posts and drag and drop(!) to reschedule posts. Also, just look at the pretty colors! Organization: You can add tags and labels to every social post. This allows you to easily find every “Spotlight post”, etc. This is great for me as we do SO much at our company it can be hard to pull every post I did on a particular event or subject. Social Campaigns: Coschedule allows you to schedule “campaigns.” Not only can you visibly see every post on the calendar included in this campaign, you can also easily schedule related posts to the campaign daily (1 day after start, 3 days after start). If you drag and drop the start of the campaign, the whole calendar will shift. WordPress/ Podcast Integration: I mentioned this above, but it's worth it to mention it a second time! You can also plan upcoming blog posts and schedule social media to support the blog post – even before it’s live. The same goes for podcast episodes as well. Note: In order to integrate CoSchedule and Wordpress you do have to upgrade your Wordpress account to allow for plugins. Post Scheduler: The post scheduler is built on the idea of sharing links – such as ticketing links. It will automatically pull the link into each social post you schedule for a certain “campaign” (i.e. Until the Lions). The software also shows you a visual of what it will actually look like for all platforms – including Instagram! Note: CoSchedule doesn't post to Instagram for you. It just sends you a notification when it is time to post. Then it will save the photo to your camera roll and the text description to your page. If you don't need super robust social media analytics, this is a wonderful platform for organizing everything social media, emails, blog articles, etc. It has saved me over 2 hours a day in social media scheduling! "Efficient, user-friendly, stellar customer service!" My team uses CoSchedule for content and task management, social posting, and content planning. Since I started using it about four months ago, there have been a couple of bugs here and there, but customer service is honest and VERY speedy in fixing issues! I can’t imagine a world without CoSchedule. There have been bugs here and there - but the team is always responsive to our product suggestions and is actually working on a fix to the Zapier integration for us as we speak. There’s a tiny bit of a learning curve, but that’s with any software. I love that I can manage both content and tasks, and that making a blog post, planning webinars and sending out social messages is in one spot! Makes it much easier to switch gears between to-do’s every day. "CoSchedule is Saving My Online Marketing Game!" I love the fact that I can manage initiatives on one platform. Prior to CoSchedule, I would not finish any campaign marketing for an initiative. Now, I do and I can set realistic metrics for improvement not only from a client perspective but from a business efficiency and profitability standpoint. I feel like a real business now. CoSchedule is a little glitchy and I have lost some work. However; even with the minor mishaps I've experienced, the time saved overall makes it worth it. Besides, only once they have not been able to recover my work. The customer service experience is EXCELLENT. The truly treat you like gold. The business problems CoSchedule have solved include: an increased ROI (I get my campaigns out); better tracking (who has time to really check analytics on different platforms); better response to my blogs and social media campaign (the headline analyzer is kickass), and help I can afford (they don't charge an arm and leg to help you get the product. Lastly, I am a better marketer for my business and clients. "Complete, cost effective content production management"
- Ability to see all content projects aligned to a common calendar, or filter for content type, date, task owner, or keyword. - Content type and task templates are disassociated from each other. If I create a custom content type, I have to create a separate task template and hope that our staff uses the correct template when creating a content item of that type. Before you sign on, consider developing your step-by-step content creation process. One of the first things you'll want to do is to build task templates that outline every creation, editing, and approval step, down to the individual assigned to each of those tasks. If you build those out offline, you can easily enter them online once you sign up. Problem to solve was managing the process of creating content at scale. We need to be able to manage multiple ongoing content development projects with unique cadences each--weekly blog posts, monthly newsletters, quarterly white-papers, ad-hoc email campaigns, etc. CoSchedule enables us to manage all of these, with visibility on a combined calendar, or on a standalone bases. 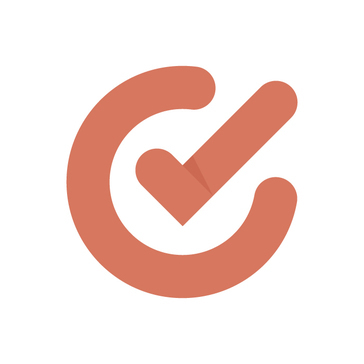 "New user that likes the tool and the educational content the CoSchedule team provides. " I like how you can create a social template to promote a specific blog post, webinar, press release, etc. and if you decide the template would work well for a future social campaign you can duplicate the template by clicking "save queue". The ability to associate different images and messages while promoting one link is key. This allows you to schedule out as many posts as you would like without having the same message duplicated over and over. I haven't found a good way to do this using other platforms. I've been using the tool for a little over two months and have found it fun and easy to use for the most part. My only compliant is that with the basic package you do not have access to phone call based support. Being a new user of the tool, I had a few quick questions that would have been solved much faster over the phone. However, their email support team is efficient. Also, the price increase per month is dramatic if you want to see advanced metrics. It is an inexpensive solution that is worth every penny! I would recommend attending their webinars and reading their content to ensure you are taking advantage of all of the features. It seems a bit complicated at first, but once you create a few good templates it is huge time saver. CoSchedule saves me a ton of time, which is important since social is just one element of my responsibilities. Their quality content and webinars also helps inspire new ideas to continually increase our social media impressions and engagements. 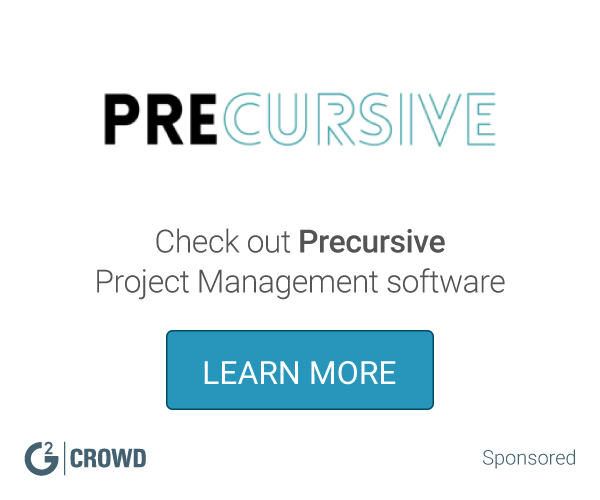 "A great tool for content management and scheduling!" The best thing I love about CoSchedule is the calendar view. Unlike most similar tools, I can see all my scheduled posts at a glance for the MONTH!!! I can also easily go to any day of the month and schedule posts that way. It's the thing that really won me over. The only thing I truly dislike about CoSchedule is the pricing. It's a bit expensive, especially for small businesses and blogs that don't have much income. I do wish there was a FOREVER free plan with limitations. The only reason I'm able to use CoSchedule is because my boss pays for the service. If you've tried other scheduling services and they just didn't do "it" for you, CoSchedule may be just what you're looking for. If being able to see everything at a glance and the ease of scheduling content by the day is enticing to you, you'll love this service. If you're a WordPress user, CoSchedule offers seamless integration into your blog/site so that you can schedule posts from the post editor. This allows you to do everything from your blog/site without going to the CoSchedule site. CoSchedule also offers impeccable organization that you won't find anywhere else. It's just much easier to see and manage all of your content with as little clicks as possible. They also offer analytics where you can see how often a post is shared on the top social sites. This is a great way to see your most popular content and the less popular, which you can then re-share to gain more interest. The convenient ability to share old content is also invaluable. This is a great way to keep people coming back to your site. Often, content is viewed once and never touched again. With this feature, you can remind readers of that old but still useful content. I have no complaints. CoSchedule is working for myself as well as our team. "Great editorial calendar & social scheduling product"
I like that I can track all my blog posts and social campaigns in one place. All scheduling, social sharing, and even social metrics, all in one place. The Chrome browser extension is also quite helpful for me for the times when I need to curate content instead of just publishing my company's own content. I absolutely LOVE the integration with the headline analyzer. It's really great to test out different variations of a headline as I'm building the piece of content. The other piece that's not my favorite is the interface, which has recently gone through an overhaul and is now much better than it used to be. The social and image helpers are really awesome, but do get cumbersome (from scrolling) for when I have many different text and image helpers set up in the same social campaign. The only other piece that I dislike is not being able to insert a text helper at the cursor point of my entry. It will only show up at the end of my post. CoSchedule acts as my editorial calendar as well as my social sharing solution. It helps keep me organized and on track with managing a multi-category blog as well as the social sharing for each post. "First time user on social media platform integrator "
Good looking site with good functionality. I like the preview mode for each social media campaign and how you can tag names/companies easily and it translates those tags for each platform. Inability to edit the twitter post on my mobile app. Won't post to instagram because of instragram restrictions, but then just says all my instagram posts are unpublished. Takes a couple tries to figure it all out - the 'add message' button is not intuitive. You can't post to instagram from this platform. App is good. We are able to cross post on multiple platforms with one simple tool. the content calendar is very clear and we can have multiple projects calendars on the site. We are solving our problem of not having enough marketing and content and social media campaigns - this cuts the time it takes to post things and keeps our calendar orderly. I love being able to set everything up in one day. From blog posts to social content, scheduling everything in one day for the month is wonderful. I also love the headline analyzer and social re-posting option has been a great addition. The app. It just feels clunky. Basically I can check up on things on it, but if I find something I want to share, there's no option on the app to do that. Also the lack of full integration with Instagram is a problem. The notification is nice, but it's just one more thing for me to do. And since I market for multiple companies, I don't always have time to stop in the moment and post right then. It's just a bummer to miss that optimal window to post. If Coschedule could set up automatic posting to Instagram like it does with other mediums, I think it'd be perfect! Yes! I've told several other people about it, business and even churches. It's just a lifesaver and really anyone can use it! Before Coschedule It was easy to fall behind on social posts, and blog posts for the companies I market for. Since using Coschedule I've been able to plan everything out in a day. Get everything scheduled at the beginning of the month and then get a jump start on the next project. Also having more comprehensive analytics of our shared content has been really helpful. "Easy to Use & A lot of Customizations"
I love not only being able to see all of the accounts I manage within the Coschedule platform, but also being able to select a single or multiple account, to display by a specific label, and more. It is very easy to use. I wish the price wasn't so much, however, I do think there is a lot of room for growth. I wish that I could look out past 6 weeks on a full screen, that I could search through Social Media Posts, and a few smaller things. If you are using ALL of their features it is worth the price. If you aren't, there are other options I would look into. I can work with the rest of my team at one time. I also can easily go back to find a post from a specific day. "The Best Social Media Tool For Small Teams"
The calendar feature is amazing from a scheduling perspective. It makes it easy to build out posts for a month and to be able to see it visually laid out. Sometimes the app has been a little finicky in posting and fixing scheduling changes. There is definitely room for improvement. If you feel you don't have time to manage social media, this is the tool for you. It's easy to manage, and even does the posting for you. It's like having another team member. We are a small team of two. This gives the power of a large team and an easy way to manage our social posting, even when we have other stuff going on. I love a few key elements - I love the "requeue" option". If you know it's good content, selecting requeue will automatically have CoSchedule post it again at a moment when you need content posted. Also, I love the ability to label items will a color - in my work, I can quickly scan through the week and visually see what kinds of content / CTAs we are sharing. I also love the mix of scheduling and also assigning tasks - its' kind of like a mix of Sprout Social or Hootsuite and Basecamp! It would be nice if there were a feed where I could see all of my recent activity, i.e. a feed of all comments I've made, tasks I've crossed off, which to my knowledge, there isn't. This is a great, multi-faceted tool that is exactly what we were looking for. Scheduling capabilties, work with freelancers easily, coordinate tasks, and post directly to Wordpress after that. We love this tool! Scheduling out consistent content and also working with freelancers to get content posted. "One of the best Social Sharing tool I've used"
I like how easy it is to navigate through the blog posts and scheduling which ones to share and which days are free. Plus, we can link multiple social media accounts and schedule all at once. Convenient! Technically, it's just how it acts up on Wordpress. I'm now accessing it directly on their website. Sharing blog posts across all our social media platforms has never been this easy with CoSchedule. We can schedule days/weeks/months ahead without being confused as the CoSchedule's calendar is easy to track. The tool helps centralize and visualize all our efforts in one place. The tool is also constantly being improved. Permissions doesn't work in a fashion we would utilize it. The decision to purchase was reluctantly approved by shareholders, but by the time implementation was complete, the same shareholders were all-in and completely sold on the product. Sharing all of our marketing efforts via read only calendars with stakeholders. "Ideal for content marketing teams needing to stay organized "
I love the interface. It's easy to use and discover on your own, so getting started is as simple as poking around and finding things. Then you can dive into the documentation and really understand how powerful the tool is. There are some additional customization features I'd like to see around categories and calendar integrations, but for the most part, I don't dislike anything about this. It's greatly simplified my life. We have a growing marketing team and needed to keep things organized as we planned out different content. Everyone is able to know what they're supposed to be doing to keep the engine running. "The scheduling and automation program you really need for social and content marketing"
I love that I can create a campaign and integrate and schedule all of the blogposts, social posts (no matter the network), and see the analytics/engagement for each. the number of times I have to re-authorize social channels. It's cheaper than Buffer and much more powerful. I am a one-man-band for our marketing; CoSchedule allows me to do more with much less time. "Short on time? Co-Schedule will help!!" Timesaving with social media posts. The ability to keep popular post on the calendar without manual rescheduling is a huge bonus!! Price is a bit steep, but I find the benefits worth working hard to make sure I can keep using Co-Schedule. Keeping up with social media, it helps me organize my editorial calendar and keep up with client needs. Flexible platform, great analytics, allows for social scheduling and connects to our website. Streamlines our workflows and improved organization instantly. Calendar view takes a bit to get used to. Great for our small team to get more from our time. It feels like we hired another person with the productivity improvements we have seen in such a short time. When implementing, think about tags and colour coding systems that will allow you to easily take advantage of the in-suite analytics tools. We are still trying to get this side of the implementation up and running so we can have better reporting to management. Organization, workflow management, task assignments, project approvals, analytics, social media management. "Amazing product that saves me COUNTLESS hours"
What I like most about CoSchedule is the ability it gives me to visually plan out my editorial calendar and schedule multiple promotional messages in a super-streamlined way. I really think some of the UI is clunky and the continual price increases has made me (a long-time user) feel like I'm being punished for supporting the company in the "old days" and being forced to upgrade to higher pricing plans to keep getting new features. I also wish it would integrate with other 3rd party tools (like Todoist). If you're not currently using a visual editorial content calendar, try CoSchedule right away. Editorial planing and scheduling. The benefits are being able to see our marketing content map and save time scheduling promotion of that content. I like the ability to schedule social campaigns out across multiple accounts/channels for a period of weeks or even months. It allows me to plan out social sharing well in advance, since social is just one of my job responsibilities and I can't spend all my time on it during the average day. I also like the feature that draws images from links I input, although it can be a bit spotty on Twitter sometimes. My team has 4 user accounts, and each of us is able to devote one account to each of our product groupings, which isn't a feature we had when we used to have Hootsuite. Labelling and assigning campaigns to certain users is extremely helpful in parsing out our workloads. I love the calendar view, too! The biggest disadvantage is the inability to view and respond to interactions on any of the platforms. Social isn't my primary responsibility and we don't have a full-time social media manager, so I don't always have time to check each of our accounts manually and make sure we're responding to interactions promptly. The analytics are also not great – I don't believe it can even track Twitter, which is where most of our engagement comes from, so I find myself having to go through the Twitter analytics page instead when we review our social performance every month. Works really well for social teams that need to schedule things out in advance or group posts together into campaigns. We've been able to almost completely automate our social posting, which has allowed us to focus more on the more crucial components of our jobs. I'd say I've personally regained at least 3-4 hours every week just by using CoSchedule. "Great Editorial Calendar and Social Media Tool"
CoSchedule is great for getting a bird's-eye view of your content. The interface is intuitive and scheduling content and being able to building out social media posts right from your Wordpress posts was great. Not much to dislike. Just didn't *perfectly* align with our team's needs without getting prohibitively expensive. If you are publishing content on a Wordpress site, definitely take a look at CoSchedule. Our University took a stab at a content marketing/blogging strategy for a couple years and CoSchedule was incredibly useful in helping us keep content and social messaging flowing. We also publish news articles and announcements, so the calendar view helped us see when would be the best time to drop new content. Love how clear the calendar looks and how easy it is to schedule all types of your content. Implementation took just a few hours and CS Team is always very helpful. Our publishing plan across multiple placements is much more structured now and we have better clarity on what we need to do on a specific day. CoSchedule is really great once your team reaches a point where there are a lot of projects and small tasks to track. I've used software in the past that is great for these things, but this is a level-up. Customer support is top-notch. There have been some small bugs but they're always fixed extremely quickly. Our team uses a separate project management system but CoSchedule is really great for tracking small tasks like adding a link into a social campaign, double-checking images within a blog post, etc. that we wouldn't want to create entire tasks for in our other system. "Simple content calendar, with a few drawbacks"
It's easy to connect with WordPress blogs and coordinate social media posts on Twitter, Facebook, Pinterest and LinkedIn. It also just started to offer Instagram scheduling, although due to Instagram's quirky rules with third-party apps, you will have to publish on the Instagram app. The user interface is simple and allowing CS to choose "best time" for posting based on followers' behaviours has been fantastic. I must also add that the CoSchedule support team is amazing -- they are friendly and responsive every time I've emailed them. I would love to have the ability to schedule tasks or content projects over multiple days. As it is now, you can only set tasks on one day. We would like to use tasks as theme reminders for certain sale seasons or promotional weeks. It could also be easier to change administrative rights and to auto-generate invoices. We have more than one content writer/editor in our company, so CoSchedule is important in preventing overlap in social media posts or tasks. The best part about CoSchedule is how easy it really is to navigate throughout the website, as well as adding social messages in less than a minute. The customer service as well was extremely helpful when we got locked out of our account, it was quick and painless and was honestly one of the best features of the program and the company as a whole. The part that I dislike is it was initially difficult to load the many social media profiles I had into the database. That should be cleared up. We also got locked out of the program at many different times throughout using it and it did take quite a while to get us back up to speed. However, the customer service agent who was helping us throughout the ordeal really did make it a point to be on top of helping out and make sure we were on the right track. if you're looking for an all around easy social media message scheduler, I see no reason why this wouldn't be the program to use. Go for it! The business problems being solved are the ease of scheduling our many social posts that go out daily. The benefits are that I don't have to log on and off of everything we use, there's just one program to do it all. It all around just makes it easy to be a digital marketing coordinator. I love that I just have to sit down for an hour or two once a week to schedule out my entire month of social media. That I can only add half of my social media accounts unless I upgrade and pay double what I pay now. TIME SAVING. Scheduling my month in advance helps me take back my time throughout the week for other important business projects. "My go-to solution for scheduling and reviewing social media plans"
CoSchedule is a great tool for scheduling and reviewing my social media strategy. Make sure to choose the right pricing level for you as there are several options. Hoot suite was a little too frustrating to use for our brand management. CoSchedule has much more intuitive scheduling and editing. "A solution to streamline your content marketing process! " The campaign feature keeps my content organized. The social helpers feature saves me from having to type the same thing over and over again. Best time scheduling takes the guess work out of what time I should post to increase engagement. Honestly, I have no complaints. This tool meets all of my needs. Take advantage of the free trial and make use out of all the features they offer! Scheduling social media posts in advance is a huge time saver as a marketing coordinator. Coschedule streamlines my entire content development process and keeps me organized. Because of CoScheduler, I am able to write better social media posts! Coschedule easily integrates with all of our small company's social meeting platforms and profiles. I can easily set up our sm posting schedule from one place. It can be difficult to adjust the posting times unless you're willing to go into each individual post and make the change. Occasional hiccups in posts not being formatted correctly, but their support has been phenomenal. Always set up premade posting schedules to save yourself time. It has streamlined our social media marketing - made it substantially faster to set up our news alerts and general social media posts. "Best content marketing management platform there is." Would love for it to integrate with social media listening platform to get insgihts. Very easy to use, their support team are incredible and fast to answer. Lots of great content too. Managing multiples channels and a lot of customized contents. Save a lot of time and allow me to be more constant in my posting. "CoSchedule Simplifies our Content World"
The UI of the calendar is great. So simple to add items and drag and drop around when things change. The way it syncs everything with Wordpress is priceless. I can be in either environment, making changes, and changes are implemented instantly. It's keeping our team more in sync, organized and is allowing us to keep our company more informed about our content production schedule. There are honestly no things I dislike at this time. It's affordable, and perfect for a small team like ours. Try it out now, you will not be disappointed. Keeping content on schedule and give visibility to team to collaborate on scheduling of content and events, all in one place. We benefit from being better organized as a group. As the manager of our content I can now send everyone to a single place for them to view all of our upcoming content releases. "Use CoSchedule to Coordinate Blog & Social Posts"
I absolutely love that CoSchedule gives my team the ability to coordinate scheduling of social media and blog content all in one place. It's great that we're able to schedule social media posts to go out on a consistent schedule across multiple social media channels after we've published a piece of content. We like the ability to promote content on an ongoing basis, so that we don't let any of our awesome evergreen content go stale. CoSchedule's UI is pretty clunky at times, which makes it difficult to navigate around and it can take some time for new users to get fully acclimated. I feel that it's not exactly an intuitive interface and leaves something to be desired. Another dislike is that the 'social media analytics' CoSchedule boasts about are not very useful as they only tell you which pieces of content are shared the most frequently and where. So if you're looking for robust social media analytics, your best bet is to use Buffer or similar instead of/in addition to since it will tell you how individual social messages have performed. We needed a way to create an "editorial calendar" for our social media messages and our blog content and keep those organized all in one place. CoSchedule is a great time saver for my team and I, and we like that we can shift content around on the fly without much effort. "Great for managing blog "
I like being able to schedule social posts along with my blot posts. Customer service has been unresponsive when I have issues. I've tried twice to message them about a problem, with no response. Coschedule has helped to manage creation of blog posts and scheduling them out to various social platforms. It also automatically selects the best times to post on social platforms, which saves me time. * We monitor all CoSchedule reviews to prevent fraudulent reviews and keep review quality high. We do not post reviews by company employees or direct competitors. Validated reviews require the user to submit a screenshot of the product containing their user ID, in order to verify a user is an actual user of the product. Hi there! Are you looking to implement a solution like CoSchedule?